Hi, my name is Aras and I'm an Artist-Engineer! My main area of engineering is electronics and micro computer systems, and I love make sculptures and small hand sized objects. I love teaching people about how to build electronic instruments and I have produced several workshops for the Electrofringe festival in Newcastle. I'm also actively involved in Dorkbot Sydney where I have presented various projects since it has been running. I'm currently designing and building the world's smallest (and cheapest!) 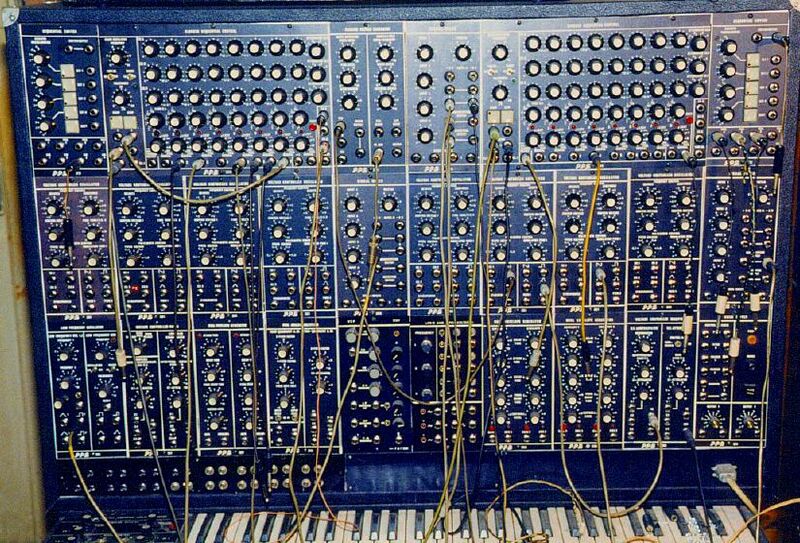 patch synthesizer. This is one of those audio synths where you can plug in lots of cables between different parts and there are loads of knobs that make crazy sounds! The idea is to make a patch synthesizer that is capable, small, cheap and easily available for people to experiment with and make some great sounds. As with all my designs, I release the circuit diagrams and documents explaining how they work and how to build them. This is a snapshot of the printed circuit board. You can see the knobs, the patch bay and the 1 octave piano keyboard. This will be about the same area as two business cards!